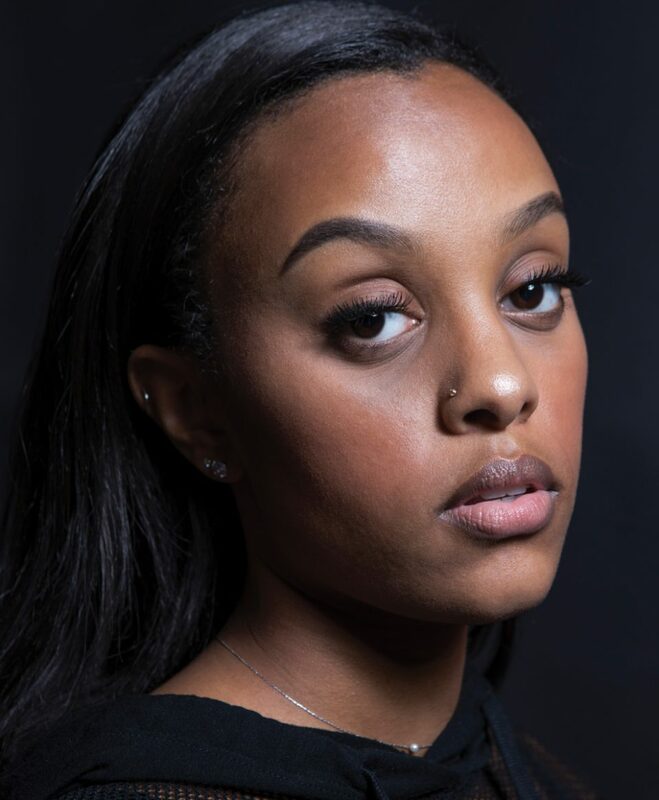 “Lost Boy” started as a series of six-second videos on social media, but now the radio hit has made Edmonton’s Ruth B one of the biggest musical acts in the country. Ruth Berhe walks in to the Starlite Room for her sound check with a friend, smoothies and phones in hand, calm and casual as if they were walking into a mall. But the minute our pre-show photo shoot starts, Ruth handles directions like a seasoned pro, not like someone who, until recently, was only used to selfies. Before taking to the stage after the shoot wraps, the two relax in a booth and chat over a box of doughnuts from Tim Hortons. She’s here to rehearse for her first-ever headlining show in her hometown, even though she’s been performing on stages across North America for over a year. Ruth is committed to maintaining a bit of normality while she’s home in Edmonton, and makes sure friends and family are priorities. releasing her debut album, Safe Haven, in May 2017. Ruth is part of the group of musical Canadian millennials – along with fellow Vine-er Shawn Mendes and YouTube stars Justin Bieber and Alessia Cara – who transformed online videos into full-fledged music careers with albums, tours and enthusiastic fan bases. Ruth’s musical beginnings are definitive of a new wave of musicians. Though Ruth’s first impressionable musical encounter was watching opera performances on TV as a child – “I became obsessed with [opera] and tried to mimic it. 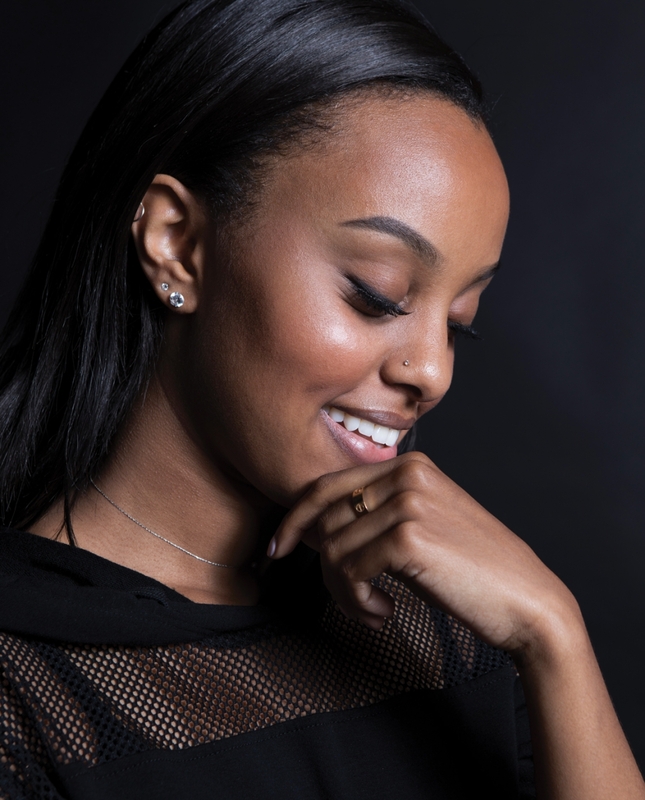 I was like, ‘I need to do this,'” – she didn’t start working on her music until she was 19. She wrote and recorded songs in her bedroom while studying history and political science at Grant MacEwan University, then released them online to an audience who tuned in from around the world before she ever set foot on a stage (besides one talent show at Ross Sheppard High School). One week after her Edmonton show, Safe Haven climbed to the No. 2 album spot on iTunes’ Singer/Songwriter charts in both the U.S. and Canada (No. 1 in Canada was fellow Edmontonian Martin Kerr). The second week of July, Ruth seized the top spot in Canada – and the albumn has since received gold status. Of course, the Vine of three years ago isn’t the Twitter of 2017, which is often criticized for not adequately dealing with harassment, and can be a flurry of hateful arguments and trolls. Ruth isn’t oblivious to the negativity, but prefers to keep her head up.